Key Opinion Leaders are powerful influencers on Chinese social media platforms, including WeChat. As opposed to Weibo, which limits users to 140 words per post, WeChat allows KOLs to post long articles enabling them to provide more comprehensive content. With large follower bases that rely on their creative and in-depth content, WeChat KOLs are a great choice for brand cooperation. Advertorials (or native advertising) are the most common way to promote with WeChat KOLs. KOLs write articles in their usual style focusing on the product within a larger topic or by using images featuring the product to illustrate the article. For instance, a gourmet blogger may discuss a cookware brand within an article entitled “Introduction to French Cuisine”. Since the articles are original, informative and interesting, readers are less likely to click away or unsubscribe from the account. BSH Home Appliances is one of the leading manufacturers of home appliances worldwide. 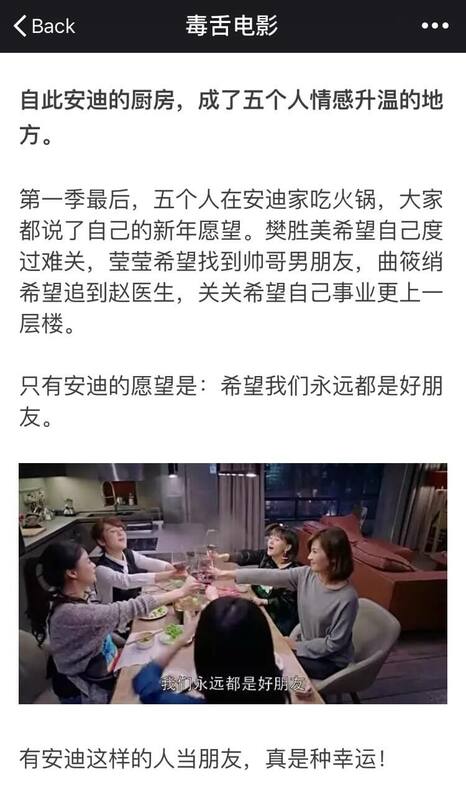 To promote its kitchenware in the Chinese market, BSH provided appliances for the kitchen of a leading female character, Andy, on the well known TV series Ode to Joy. In conjunction with this, they launched an offline campaign called “Andy’s Kitchen” to reach more potential clients and let them see their products in person. They also partnered with online media and Chinese KOLs, including Dsmovie (毒舌电影), to promote their products and the campaign. Famous for her film criticism, Dsmovie usually posts articles about movies and TV shows. In her advertorial, Dsmovie first analyzed Ode to Joy and its main characters since they’ve touched off heated discussions online lately. Then she praised Andy for her attitudes and lifestyle and gave reasons for her opinion. At the end of the article, she emphasized the significance of Andy’s kitchen and informed readers of BSH’s campaign. The article was read more than 100,000 times and BSH successfully promoted the campaign and their kitchenware to a wide audience. For brands, this is the most straightforward way to introduce their products and services. Many WeChat KOLs are experts in their field and produce informative and reliable product reviews and comparisons so their followers consider them trustworthy. They influence and facilitate their followers’ purchases as product reviews are often paired with giveaway campaigns or links to the product’s online sales page. Brands that partner with WeChat KOLs who like their products can reach a large audience and see an uptick in sales. Maimaijun is a WeChat KOL famous for her highly influential shopping recommendation articles. In late April, 2017, Maimaijun posted a product review of Vidal Sassoon’s silicone-free collection of shampoos and hair conditioners. She pointed out the benefits of silicone-free shampoos then used and reviewed the products. The review was thorough and informative with valuable suggestions on how to protect one’s hair and it was clear she liked the products. She also posted a link to the VS online shop and launched a giveaway campaign at the end of the article. The article was viewed more than 88,000 times. For brands, campaigns structured around user-generated content (UGC) have a huge influence. Nevertheless, getting users to actively participate and contribute high quality content can be difficult. Here’s an example of brand cooperating with WeChat KOLs to collect UGC and getting a great response. Taobao iFashion is a fashion e-commerce platform popular with young people, which also showcases fashion trends, suggests outfits and encourages purchases besides selling products. As Taobao is the largest online shopping website in China, iFashion has attracted a huge user base and many sellers and customers post their fashion looks on it. Although there’s a lot of content, it varies considerably in quality. To collect high quality UGC, iFashion launched a campaign with Thefair2, an account that usually posts in-depth, well-written articles on modern society and urban life. Dedicated followers of Thefair2 prefer content that reflects on big topics, emphasizes individuality and discusses lifestyle issues. They appreciate and can generate great content. On May 4th, Thefair2 launched an interactive campaign called “Waking up the new me” encouraging its followers to post an image of themselves in clothes that were meaningful for them or that showed their attitude toward life. They were encouraged to tell the story behind the clothes as well. They received tons of great images with words that resonated with young people in just four days. It posted the best submissions in another article, which was read more than 100,000 times and received good reviews. 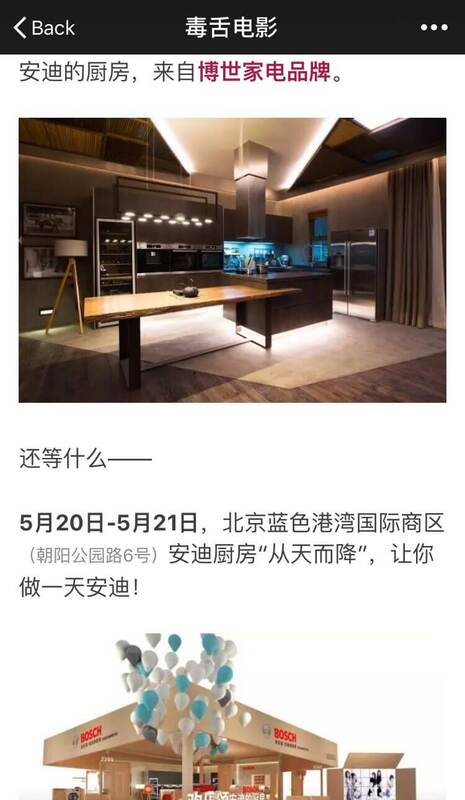 At the end of this article, they informed readers of an iFashion sale starting on May 8th. Through the campaign, iFashion not only collected high-quality UGC that gave them insights into young people’s lives and fashion preferences but also promoted its sale campaign to a large group of potential clients. KOLs can also work with brands to create sponsored content and add purchase links in the articles. Once the article stimulates the audiences’ desire to purchase, they can buy the product immediately with a few clicks. This integrated style of promotion is most effective when the products are in limited supply. Mr. Bags is a fashion blogger who focuses on bags from first-tier fashion brands such as Givenchy, Burberry, LV and Celine. To promote its new DK88 collection, Burberry worked with Mr. Bags who was given limited edition DK88 bags for his followers. Mr. Bags wrote about the collection in an article emphasizing that the bright toffee DK88 bags were limited and exclusively sold through Mr. Bags’ WeChat account and Burberry’s official WeChat account. Then he posted the QR code for Burberry’s interactive online game that randomly selected a bag color for game-players. Buyers who didn’t want to play the game could click the online sales link posted by Mr. Bags and purchase the bags directly on Burberry’s official WeChat account. The article was viewed more than 80,000 times and the bright toffee DK88 bags sold out very quickly. WeChat KOL promotion is effective thanks to their large follower bases and their credibility. Through traditional sponsored articles and product reviews, WeChat KOLs inform their followers of a brand’s campaigns and products and influence their purchasing decisions. With interactive campaigns, such as giveaway campaigns and UGC collection events, KOLs engage more followers to participate and create great content. These campaigns are also a great opportunity for KOLs to interact with their followers. Moreover, WeChat KOLs can also directly stimulate purchases by providing exclusive sales links for products. 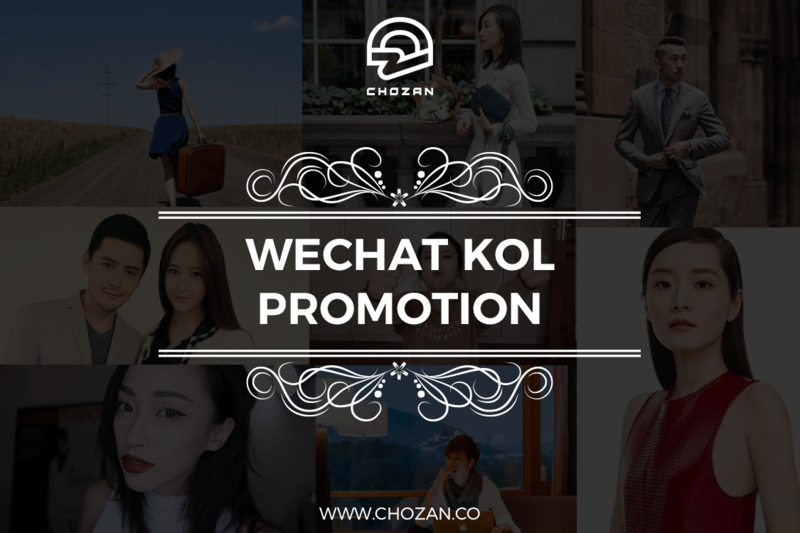 When working with WeChat KOLs, you can decide which promotional method works best to maximize your branding and marketing goals. Do you have any questions about WeChat KOLs? 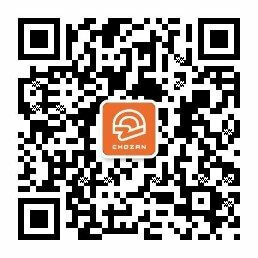 Want to know more about WeChat? Please leave a comment below or send us a message.